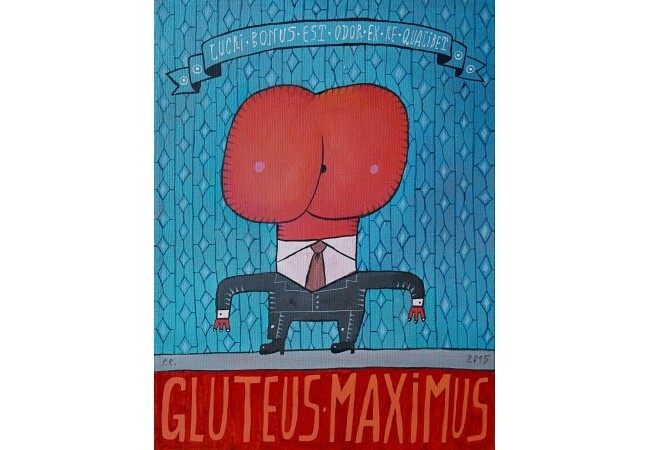 This original Painting ﻿`Gluteus maximus. 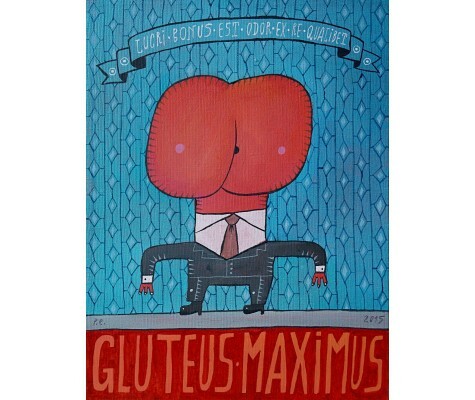 Lucri bonus est odor ex re qualibet` by a Russian artist Evgeny RODIONOV, is done in acrylic on canvas. 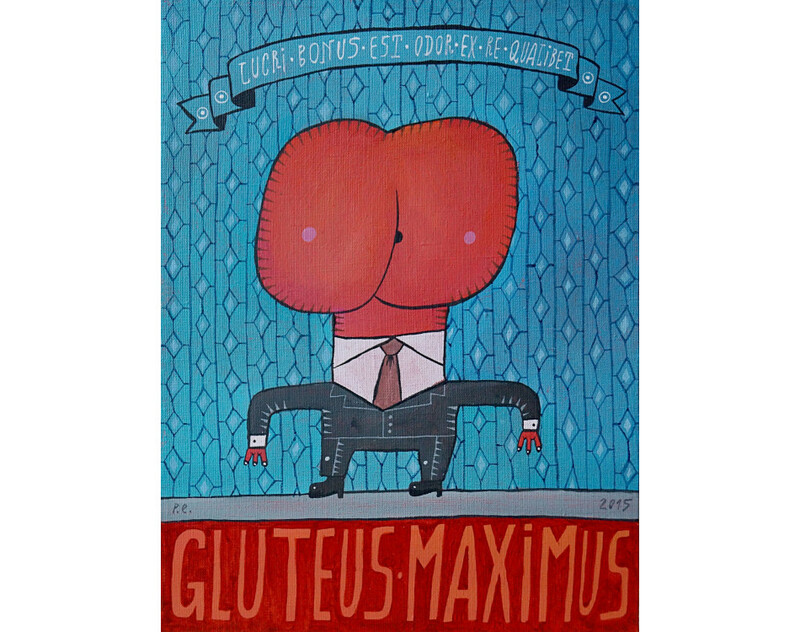 This Genre was created in Primitivism style.